Chronic Pain affects 47% of American Adults, more than diabetes, heart disease, and cancer combined. And, 70% of Americans agree that Pain Management should be one of Medicine’s Top Priorities. A Hospital-Based Pain Management Service awards your Hospital with significant Community Marketing Opportunities, attracting a large population of New Patients who currently travel to far-away Urban Pain Management centers. 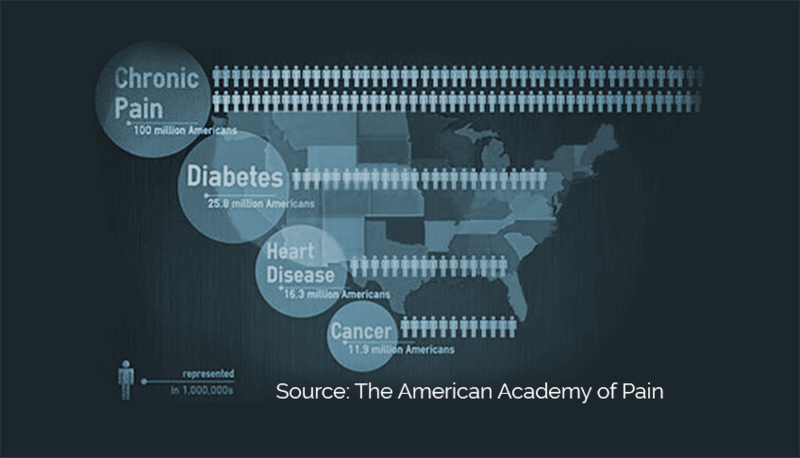 The American Academy of Pain Medicine Facts and Figures on Pain. The American Academy of Pain Medicine , 2015. Read More about the 7 Simple & Powerful Benefits of Hospital-Based Pain Management.